My areas of specialty include Marital/Couples Therapy, EMDR, Group Therapy, PTSD, and working with adolescents. Groups I facilitate include "Girls Rock," Anger Management, Changing Families, and Children of Divorce. I am a provider for most insurance companies, including Medicaid. Jeri B. Innis, M.A., L.P.C., S.E.P. Welcome! I am the founder of Innis Integrative Therapy which has been developed to address the confusion and complications related to the physical manifestations of pain and chronic conditions that have underpinnings of trauma. I combine knowledge, expertise and 30 years of experience incorporating three fields of practice to facilitate holistic healing: physical therapy, somatic psychotherapy, and trauma resolution therapy using Somatic Experiencing and Brainspotting modalities. I look forward to meeting you and discovering ways to create a better, more fulfilling life, regardless of your medical conditions or set of limitations. 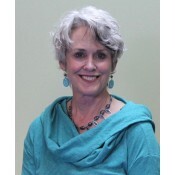 Mary Kay is a Licensed Clinical Social Worker and Certified Nutrition Therapist. She has over 20 years experience as a psychotherapist, group facilitator and consultant. Specialties include Trauma, EMDR therapy, Nutrition and Health Coaching and Mindfulness Meditation. Speical populations include professional women overcoming depression naturally and survivors of cancer and other metabolic illness such as diabetes. Mary Kay has served as the Boulder County Representative to the State Chapter of the NASW and as past board member to NAMI and INMI. She was a master and consulting ASIST trainer for 14 years teaching suicide prevention and intervention skills nationwide. Current groups: Overcoming Depression Naturally. Coming in 2018: Classes on the Ketogenic Lifestyle and trainings on Nutrition for Mental Health professionals. I have been in the field of wilderness therapy since 2004, working with people struggling with anxiety, depression, addiction, family and identity issues. Through this work, I found that I care deeply about helping people connect with themselves, other people, and the world around them. Inspired by working in small groups in an outdoor setting, my work with clients in the office is very experientially based. I draw strongly from Gestalt and Hakomi, both of which are relational, body-centered, here-and-now oriented therapies. As a therapist, I provide my clients with a space to mindfully explore their inner world, approach difficult or painful experiences with compassion, and practice enacting new ways of being. Ultimately, I believe that therapy is an enlivening process, where we gain greater awareness, and thus, greater ability to choose how we relate to ourselves and the world. My passion is helping teens, adults, and families recover from substance abuse and addiction. I also have extensive training in anxiety disorders and other co-occurring mental health conditions and utilize a holistic healing approach. I empower clients to increase their self-awareness, realize their strengths, and improve their self-confidence so that they can make changes in their lives that allow them to be their best selves and experience contentment. Fall 2011 Women's Empowerment Group!